In the earlier period, there were many great personalities who served and contributed much for their country. But among all, there was also one Christian missionary who gone through many sufferings and then became a legend, i.e. Saint Patrick. It was believed that he born into a rich Romano-British clan around 387 AD and died on 17th march 461 AD. However, at the age of sixteen he was kidnapped by some Irish robbers and taken to the country of Ireland as a slave. During that period as a drudge, he learned many customs, rituals, and language of druids. After six years, he managed to escape and returned to his family and then undertook serious religious training. Subsequently with fifteen years of study, Patrick was fated as a priest and then sent to Ireland to minister the Christians. Through his teaching in the country, he turned out to be the patron saint of Ireland. There was also prevalent belief that St. Patrick evacuated all the serpents from Ireland. While he was fasting, all the snakes attacked him and then he hunts them into the ocean. Afterwards, there were no snakes in the country during the post-glacial age. 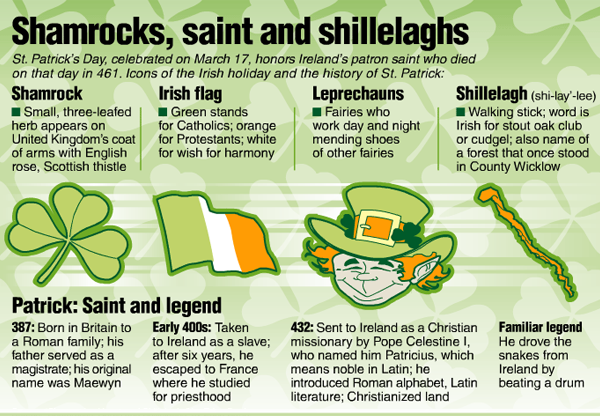 In the memory of this Irish patron saint, every year 17th March is celebrated as the St. Patrick’s Day across the globe. Saint Patrick is associated with entire Irish culture that can be anything gold, green, shamrocks and even luck. The first St. Patrick’s Day was celebrated in America in the year 1737, which was organized by the Irish society of Boston. The first celebration of the period in colonies was to give honor and celebrate the Irish culture. But, the most crucial St. Patrick’s Day parade started on 17th March 1762 that begins with the Irish soldiers, serving the British military. This started the tradition of marching military units in the parade. Through that initial parade in New York City helped the army soldiers to connect with each other, both socially and emotionally too. 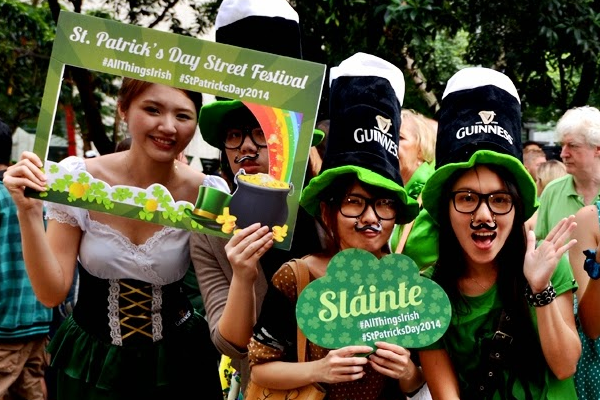 Now, the question arises why St. Patrick’s Day is celebrated. Well, every year millions of people celebrate St. Patrick’s Day all over the world. This day has the utmost significance in Ireland as the people there use to worship and gather with their families. The main reason for its celebration is to bring out the aspect of peace and harmony among all the individuals of the country. Furthermore, this festive day is rejoiced by wearing green outfits that represents Irish culture. 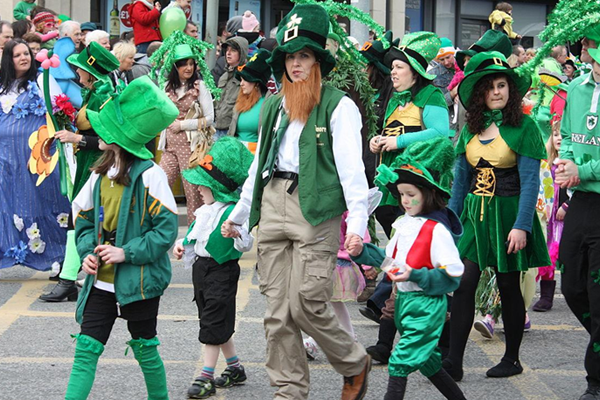 The celebration of St. Patrick’s Day is largely connected to Irish theme that consists of green attires, drinking and parades too. The Irish American community celebrates this day more superior than anyone. Now, it’s time to lift up the curtains from some common traditions of celebrating this festive day. Drinking: St. Patrick’s Day is mostly famous in the Irish culture, where the people enjoy this day by drinking heavily with their loved ones. While, the individuals are also allowed to break their fast on the carnival day. 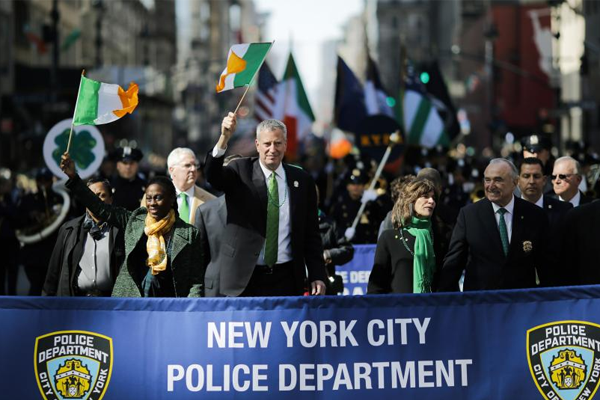 Parades: One of the most prominent celebrations of Patrick’s Day is military parades that go through various cities such as New York, Boston, New Orleans, and other worldwide cities. Green Dyed Beer: During this festive season, many bars and restaurants serve the green dyed beer to all the folks to make their moments memorable. Green Combination: In many regions, the whole arena goes with the color green. The parade routes are painted green, individuals are supposed to wear green garments and also decorations also feature the green color. Plantation: On this jovial occasion, many people celebrate it by planting peas. It is mainly occur in the north eastern region due to the color and time of the year. Getting obsessed with the color green is a part of celebrating St. Patrick’s Day, but the merriment of this day varies from different cities. Let’s have a look on the celebration of this festival in different cities. Boston: The celebration of St. Patrick’s Day in Boston brings up to six lakh visitors that largely belong to Irish American community. The city holds the largest parades and also features several Irish mouthwatering dishes. New York: New York City has the second largest parade with the gatherings of over fifteen lakh participants that includes policemen, firefighters and other armed forces. The people in this parade also enjoy the taste of various cuisines and a lot more things. Scranton: This Pennsylvania city is mainly renowned for its parade celebration since 1862, with recent attraction around fifteen lakh individuals having several entertaining activities on the roads. Chicago: The people of Irish community contribute a larger part of Chicago’s celebration. The parade of windy city mostly includes Irish people that hold the complete command of the crowd. New Orleans: The rejoiced moments for this festive day held only at community or locality level. This coastal city also holds a larger population of Irish crowd during this carnival who relishes the taste of delicacies. Ireland: In Ireland, the celebration of this festival is considered as a religious buffet day. During the recent years, the festivity of this carnival becomes more cultural and also includes many celebrations on the streets, like dancing, drinking, singing and wearing green attires. The most anticipated St. Patrick’s Day must be celebrated with peace by giving pacific honor to Saint Patrick who contributed a lot to the country. It’s our duty to maintain the real spirit of this festival by reveling it with full happiness with our loved ones. So don’t think twice, just wear fashionable attires and relish all your drinks and feasts. Let’s be merry and celebrate this auspicious day.